GitHub Enterprise credentials include not only your password, but also the access tokens, SSH keys, and application API tokens you use to communicate with GitHub Enterprise. Should you have the need, you can reset all of these access credentials yourself. To request a new password, visit https://[hostname]/password_reset. 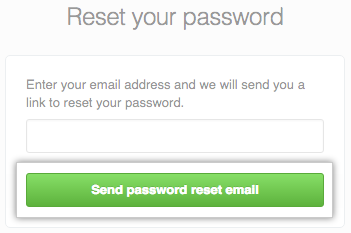 Enter the email address associated with your personal GitHub Enterprise account, then click Send password reset email. The email will be sent to the backup email address if you have one configured. We'll email you a link that will allow you to reset your password. You must click on this link within 3 hours of receiving the email. If you didn't receive an email from us, make sure to check your spam folder. After clicking on the link in your email, you'll be asked to enter a new password. To avoid losing your password in the future, we suggest using a secure password manager, like LastPass, 1Password, or Keeper. Sign in (https://[hostname]/login) to GitHub Enterprise. 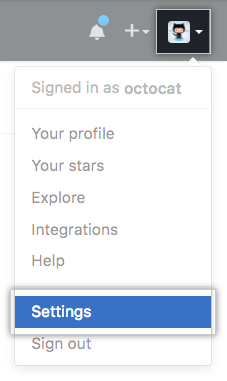 In the left sidebar, click Account settings. 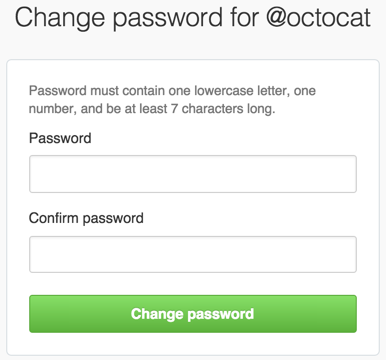 Under "Change password", type your old password, a strong new password, and confirm your new password. For help creating a strong password, see "Creating a strong password"
For greater security, enable two-factor authentication in addition to changing your password. See About two-factor authentication for more details. See "Reviewing your authorized applications (OAuth)" for instructions on reviewing and deleting access tokens. To generate new access tokens, see "Creating a personal access token for the command line." See "Reviewing your SSH keys" for instructions on reviewing and deleting SSH keys. To generate and add new SSH keys, see "Generating an SSH key." If you have any applications registered with GitHub Enterprise, you'll want to reset their OAuth tokens. See the GitHub Developer documentation for instructions on how to do this. For more tips on securing your account and preventing unauthorized access, see "Preventing unauthorized access."